Blog Quick Quotes: Serenade Inspiration with Connie! 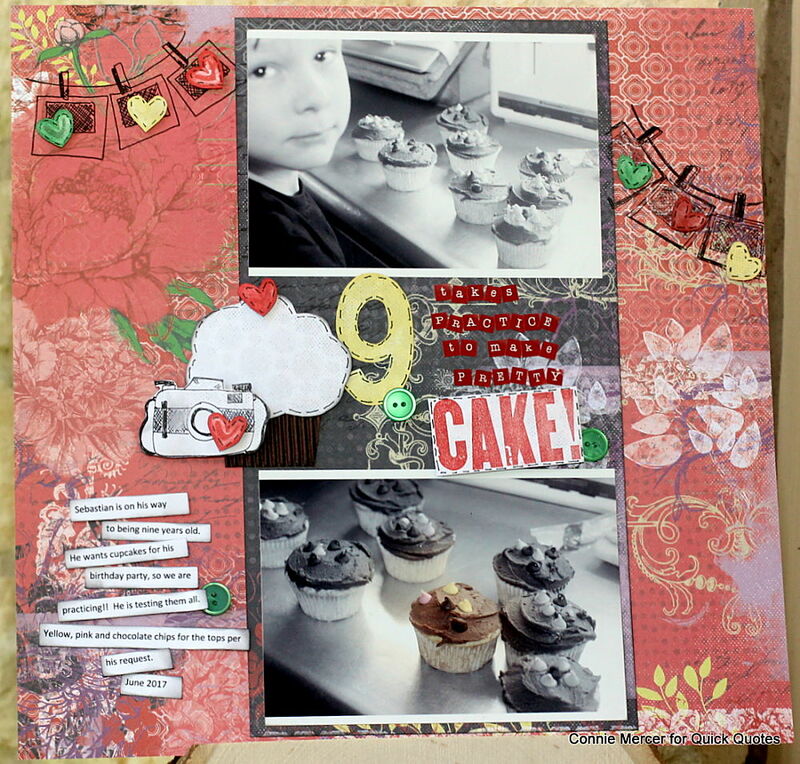 Hi, Connie here with a scrapbook page using the new Serenade Collection. I love the black, red and green colors mixed together with some light blue on the side. So beautiful!! 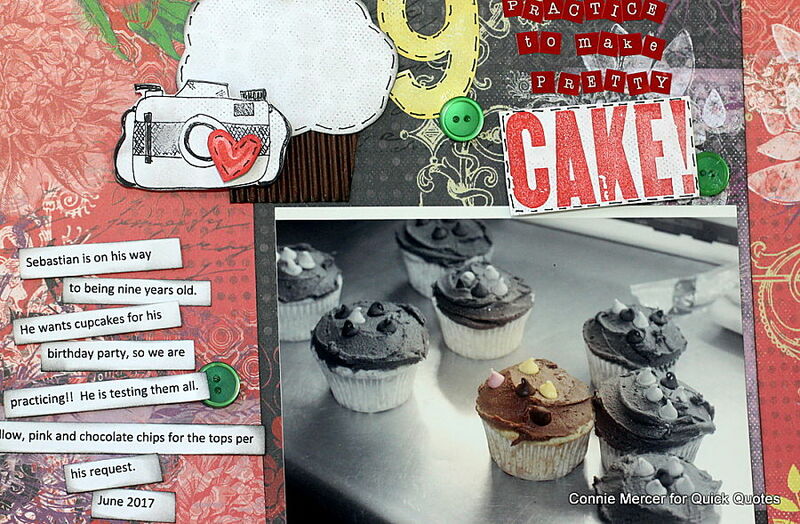 Stamps were used, to create embellishments, to accent the page. 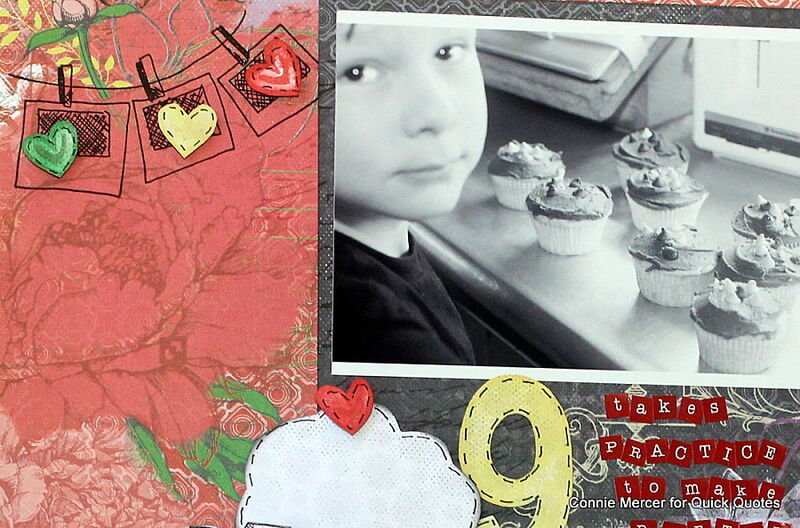 The PowderPuff Chalk Inks are great to add color to the stamped images. A variety of different stamps were used to embellish the page. Love mixing stamps and creating with the mix. This corner cluster was stamped directly on the scrapbook page and added embellishments were popped up for extra dimension. 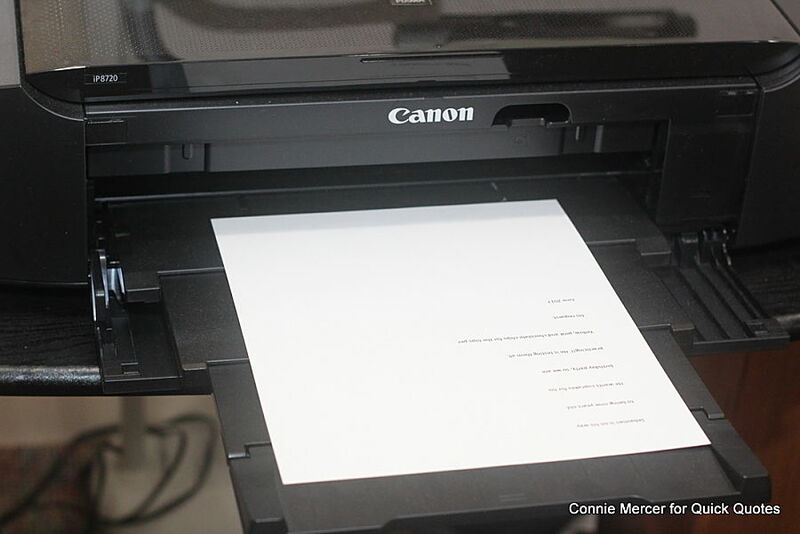 The journal cluster was created and printed using my Canon iP8720 printer. 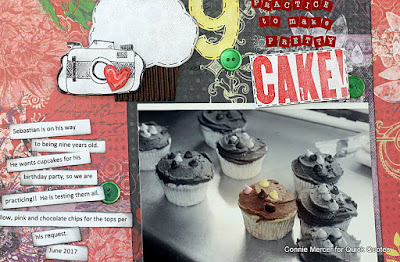 I cut the text into word strips and created a journal corner, on the scrapbook page. The photographs were also printed using my Canon iP8720 printer.